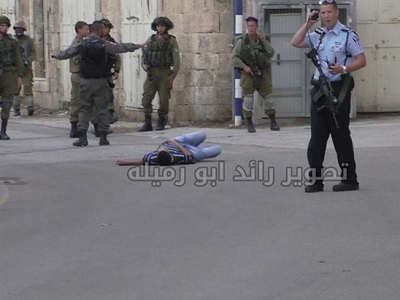 The Palestinian was identified as Saad Muhammad Youssef al-Atrash, 19. Israeli forces shot and killed a 19-year-old Palestinian man after he allegedly attempted to stab an Israeli soldier outside the Ibrahimi Mosque on Monday, in the second reported death in Hebron. He died on the way to Shaare Zedek Hospital in Jerusalem, an Israeli army spokesperson said. She said that Israeli forces opened fire on him after he “attempted to stab a soldier.” No Israelis were injured during the incident. “They fired toward the attacker and the attack was thwarted,” she said. Al-Atrash’s brother told Ma’an that he had been summoned by the Israeli authorities to the Israeli liaison office to identify the body. Earlier on Monday, a Palestinian suspect was shot dead after stabbing an Israeli soldier just north of Hebron. The incident took place near the Beit Einun junction, with a 19-year-old soldier seriously injured and taken for medical treatment at the Shaare Zedek Medical Center in Jerusalem. Locals identified the Palestinian as 22-year-old Raed Saket Abdul-Rahim Jaradat, 22, from the town of Sair. He was reportedly a student at Al-Quds University. The day before, a 17-year-old Palestinian girl was also shot dead by Israeli forces outside the Ibrahimi Mosque. Israeli police alleged they saw “a knife in her hand,” although witnesses have disputed that. Monday’s deaths bring the total number of Palestinians killed by Israeli forces to at least 59 since the beginning of the month. 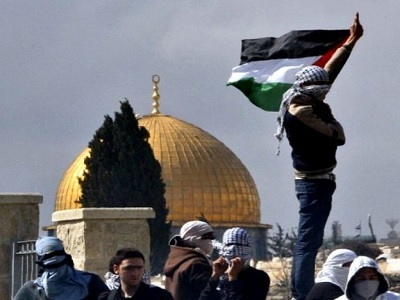 Intifada Without a Leadership: Until When?